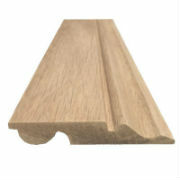 We carry a full range of timber and MDF mouldings in stock. From 2" pencil round architrave all the way up to 9" double sunk for the most grand properties. Whether it's skirting boards, architrave, dado and picture rails we've a moulding to suit most applications. Lengths up to 5.4m means fewer joins and a better finished job. 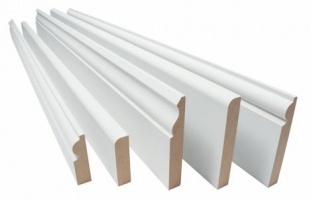 All our MDF mouldings are supplied pre-primed white to save you time, ready to take your desired colour of top coat. Most of our softwood moulding are now machined from the finest unsorted Scandinavian redwood meaning almost knot free timber less likely to twist or bow.